Muscles get all the attention. But it’s the dense, fibrous tissue of your tendons that allow muscles to produce the powerful movements that transform your body. The tendons must be strong enough to endure plenty of abuse because their role is to connect muscle to bone. If your tendons are weak you’ll suffer from strength loss, pain and worst of all you’ll be predisposed to a debilitating injury. It’s time to give tendons the attention they deserve. In order to understand what can go wrong with tendons it’s important to know the key materials that form them. For the sake of this simple discussion, collagen is the essential protein that can make or potentially break your tendons. There are three primary types of collagen in the human body: type I, type II and type III. Collagen type I and III are the key players at work in your tendons, but one of them doesn’t belong. You see, type I is the form that makes your tendons stronger and more resistant to tears. However, during the times when a tendon is chronically overstressed with excessive training the body responds by adding more type III collagen within the tendon. What’s the problem with adding type III collagen to your tendons? It’s an elastic and weak protein that only belongs in your skin and blood vessels. Indeed, your tendons need the super strong proteins found in type I collagen to support explosive contractions. When you overtrain a muscle it’s not clear to scientists why the body adds type III collagen where the type I form is desperately needed. But one thing is clear: when a tendon is chronically overworked the adaptive process is compromised. The end result is tendinosis caused by an excess of water, misaligned fibers and too much type III collagen. Tendinosis and tendinitis both describe dysfunctional tendons, but the mechanism of injury differs between the two. Tendinitis is caused by an excess of inflammation. Tendinosis, on the other hand, is degeneration of the tendon. It didn’t receive much attention until recent years because less was known about it. In fact, this might be the first time you’ve even read about tendinosis. But trust me, it’s now getting plenty of well-deserved attention in the research world! Here’s the kicker – if you’ve been suffering from pain in any tendon is highly likely that you’ve assumed it’s tendinitis. It could be, and this should be confirmed by your doctor. However, in many cases the problem is tendinosis and research shows the typical “rest, ice, ibuprofen” treatment won’t work. How do you know which dysfunction you have? With regard to the notorious Achilles tendon, it’s pretty easy to figure out. Is one tendon substantially thicker than the other as shown in the pic below? If so, that’s tendinosis and it took years to develop. Yep, that thicker tendon you see is actually weaker and more susceptible to tearing than the smaller one! Unfortunately, it’s more difficult to identify tendinosis in other typically problematic joints such as the elbow and shoulder. In fact, tendinosis in the supraspinatus actually causes it to get thinner (the exact opposite of the Achilles tendon). Orthopedic surgeons that specialize in the shoulder are often shocked to see a paper thin tendon on that important rotator cuff muscle when they cut open the shoulder. How do you know if the problem isn’t tendinosis, but tendinitis? If the pain is less than two weeks old it could be tendinitis because after that time the inflammation process typically subsides. Beyond that, you’re often dealing with another pathology. Tendinitis treatment: rest, ice and ibuprofen. 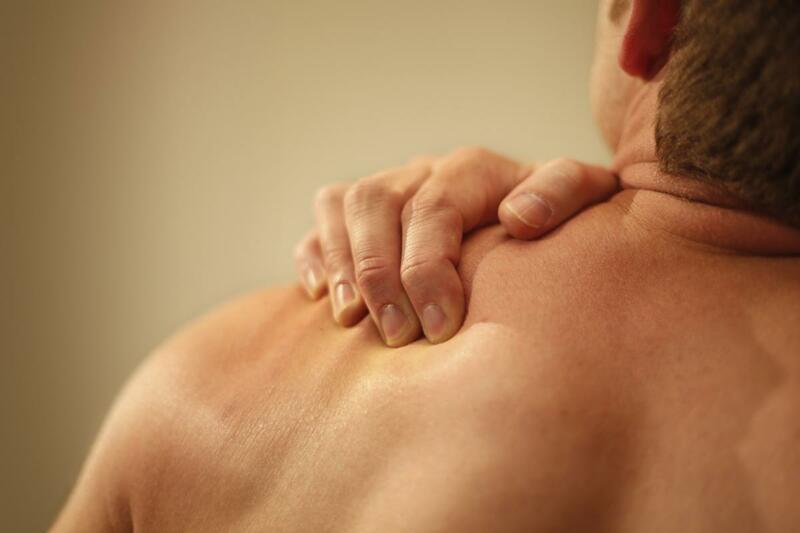 If the pain hasn’t subsided after 2 weeks, consider tendinosis and check with your doctor. Tendinosis treatment: as mentioned, this dysfunction won’t respond to the tendinitis treatment protocol (although, a few days of extra rest is never a bad idea). Research demonstrates that tendinosis responds well to eccentric training of the affected muscle. The eccentric contractions help stiffen the tendon and increase type I collagen synthesis (Ohberg et al, Br J Sports Med, 2004). Sets x Reps: 3 x 15, every other day. Loading: moderate, don’t go for maximal loading. Importantly, the eccentric (negative) exercise you choose should not cause pain. The real problems often occur at the extreme ends of motion. For example, some people have pain in the supraspinatus if they start the negative rep with their arms elevated to parallel since this is where the muscle has to fire most intensely. Use your own judgment and avoid the areas of motion – whether it’s at peak contraction or a maximal stretch – that cause the most pain. Chad, what excercise or stretch do you recommend for my groin and adductor. I had reshapping surgery a year ago on my right hip. After 6 months of therapy and after resuming golf, my groin and adductors will really never fullly release and apprear to have tendinosis. Would love to hear any advice you have?! Great article. I have long-standing pain in the foot and lower leg and am pretty sure this is tendinosis. It’s the result of 2 botched bunion surgeries. Now I know why icing doesn’t work. 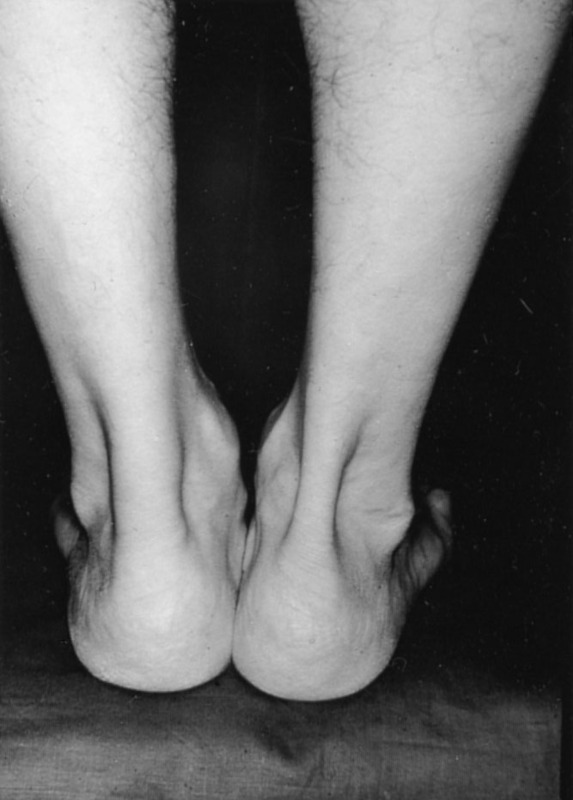 Do you know if orthotics can help this condition? I’ve seen so many professionals in different fields, but not one of them has dealt with the tendons. I wish your article came with a video or pictures as I’m having a hard time imagining how to do the movements. But mostly thanks for all the great information. CW: Orthodics are sometimes necessary, but you need a qualified podiatrist to determine that. Chad, thank you for the heads up. Really enjoyed this one. How do you do dumbbell lateral raise starting at the top to only do the eccentric phase of the movement? CW: BD, curls the DBs then extend your arms out to the sides to start the negative rep. I am having trouble supplementing with type1 collage…all I can find is type1 and 3 combined…any suggestions? CW: I suggest you use Biosil. You can find it on Amazon.